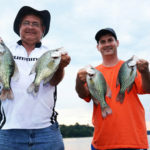 Outlaw and his wife start putting out their trotlines just at dark during the summer, when most fishermen are putting their boats on trailers and taking them out of the water after their day of fishing. 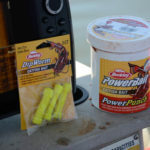 The Outlaws take up their trotlines at first light, before most anglers are out on the water. 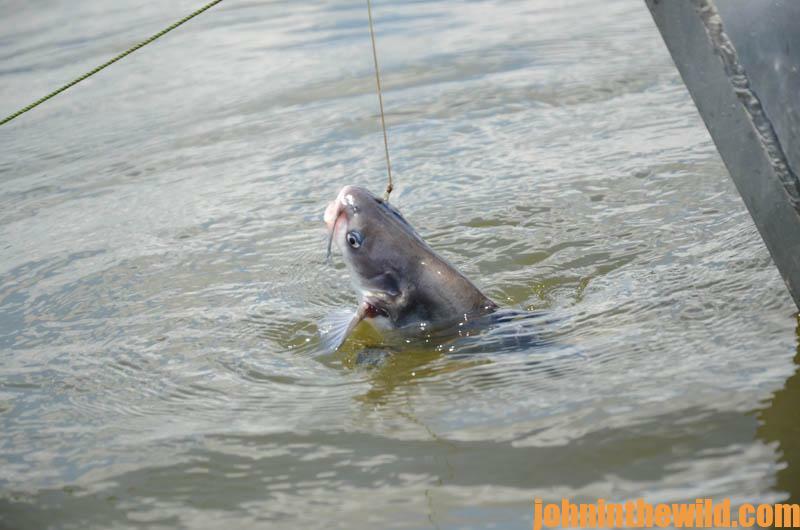 ”We sometimes may stay out on the water and rod and reel fish for catfish – either after we’ve put in our lines in the afternoon or after we’ve taken up our lines in the morning,” Outlaw reports. After spending a morning with Outlaw and his wife Kathy and my son John of Birmingham, Alabama, I couldn’t believe how quick and easy putting out a jumpbox and pulling it in made cat catching. 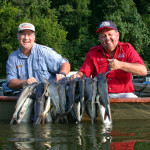 I also couldn’t believe how many catfish we caught in 2 foot of water with an air temperature of more than 100 degrees. 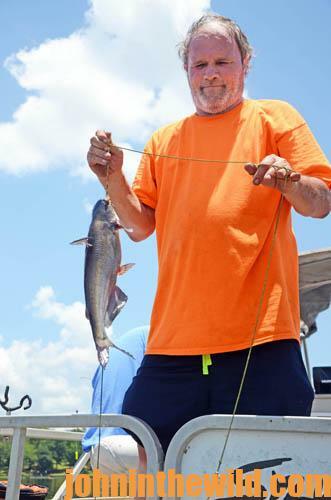 In the State of Alabama where I live, there’s no limit on the number of catfish that anglers can take in a day of fishing, except for a length limit where anglers only can keep one catfish longer than 34 inches. But be sure to check the laws in your state about the number of catfish you can keep. 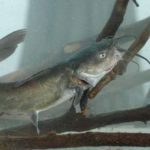 For many years, commercial fishing for catfish was permitted on every body of water in my state, due to the abundance of catfish that Alabama’s rivers and lakes produced each year. 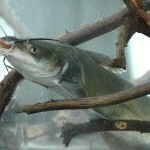 However, in the early 1960s, farming for catfish in ponds became popular because restaurants and individuals could buy specific sizes of catfish from fillets to small, whole catfish. 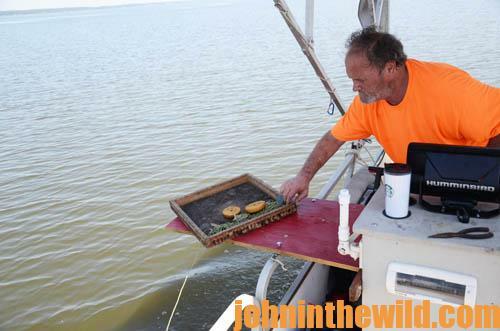 Because of the popularity of buying farm-raised catfish, many commercial catfishermen went out of business. 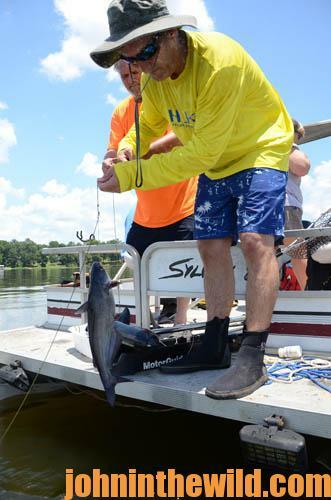 However, Alabama state waters and others across the country still produce large numbers of catfish for sport fishermen.